If you're thinking to yourself, ''I am not tech savvy enough to understand these tools,'' you're wrong. Most of these tools are intuitive and user-friendly. In any business, including real estate, tools are your lifeline and your weapons to dominate and win. Period. These tech tools will help you maximize your return on investment (ROI), find better leads, improve productivity, collaborate better, manage your company, and more. If you're thinking to yourself, ''I am not tech savvy enough to understand these tools,'' you're wrong. Most of these tools are intuitive and user-friendly. It's simple to figure out how to use them, and there are many videos and tutorials to assist you. You don't need to be a techie to effectively use these tools. The email list you collect and build from day one is your most valuable marketing asset. You have already overcome the problem of getting permission from the users to send emails to them. All you have to do now is make sure your email marketing campaign is potent enough to convert these readers into your customers. For that, MailChimp is your best tool. MailChimp is an email marketing tool that allows you to send mass marketing emails to the list of your prospects. Additionally, you can track and segment the emails you send. This service helps you answer important questions such as, ''How many clicks?'' ''What is the open rate?'' ''What did they click?'' etc. Using this data, you can further modify your marketing efforts to derive the maximum results. CurbCall is a revolutionary tool for real estates, as it allows agents to go about their business on demand. The tool aims to connect buyers and sellers. Buyers typically use this app to discover the properties or homes that interest them. Once they have a list of properties they want to check out, buyers can set up a ''showing'' on this app. The seller can track these showings near their property and arrange a quick meet-up with the prospect in order to show the property. This tool helps direct rich high-potential leads to you right away so that you can act on converting them to customers instead of having to push people to check out your listings. This tool is not just an accessory for real estate agents - it's a basic necessity. This free app helps agents understand the repayment process and requirements of getting a mortgage. The app factors in several important parameters to provide the most accurate calculations and estimations. It tells what monthly or biweekly mortgage payments will be and the future payoff date. Instead of going through exhausting computations, this tool makes your job easy. It's user-friendly and simple to use. It has become a basic go-to tool for most real estate professionals. Hiver is software that turns your Gmail into a powerful collaboration tool. As a real estate professional, more often than not, you end up working in teams and collaborating with other professionals. This tool makes that collaboration process easy. Not only does it help you work well with your team, it also helps you manage your email through features like Shared Email Templates, Email Scheduling, Email reminders, etc. A feature called Shared Contacts allows you to maintain a centralized list of contacts of leads. You can also easily assign, delegate, and monitor tasks. Hiver is a multi-featured tool that multiplies what your inbox can do for you. It's a healthy practice to keep checking your website regularly to catch spam activities. Detecting spam attempts early can help you take the necessary actions to counteract the problem. Backlink Watch helps you keep an eye out for spam problems. And it gives you an outline of all the websites and articles pointing to your real estate website. Additionally, this tool allows you to keep track of all the mentions and links you got for your business. You don't need advanced data tools. 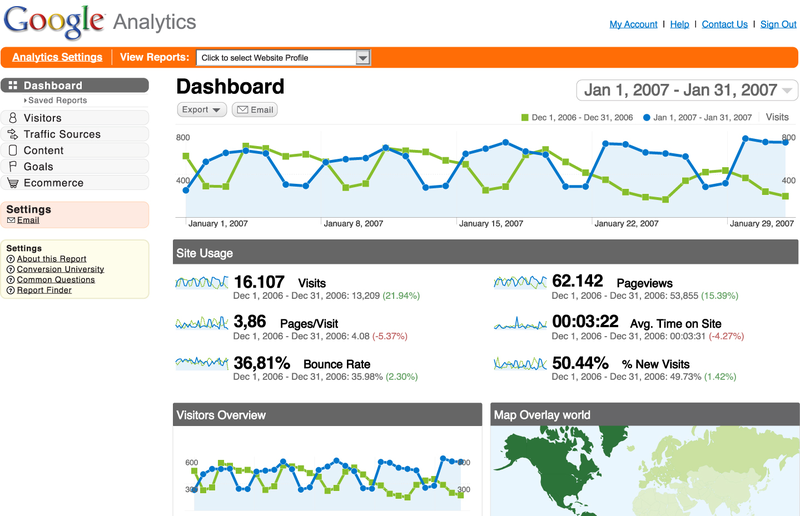 Anyone with a personal website has access to Google Analytics (GA), and it's free. The primary job of GA is to give you insight into your marketing efforts. It helps you understand what's working and what isn't. For example, say you launched a new social media campaign for Thanksgiving, and you want to know the impact your campaign had. GA allows you to check how many people reacted to your campaign. With this insight, you can boost your ROI by eliminating wasted efforts and focusing on the key activities that bring in business. There are about a gazillion tools out there for you to choose from, but not all tools are effective, and not all tools will serve your business needs. The best way to figure out the best tools for you is to try them out. Most tools give you a free trial. Make use of this to figure out if the tool is really working for you.